It's f i n a l l y happening. 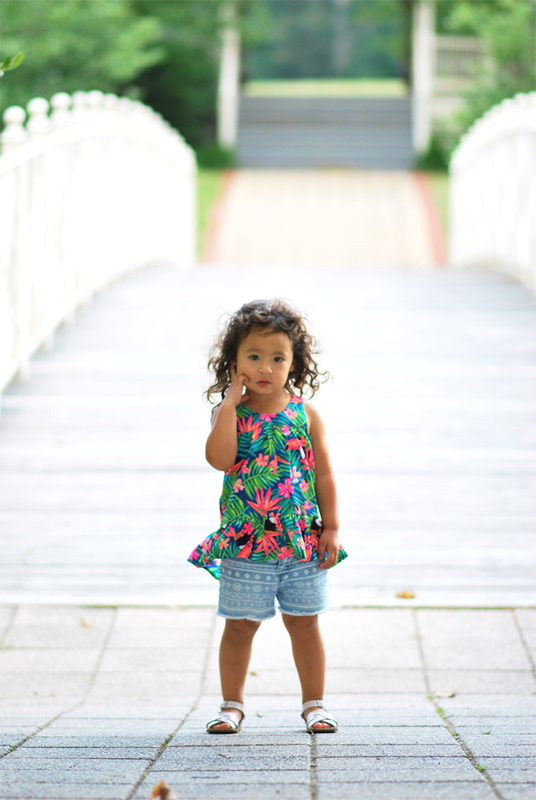 Cora is getting her own outfit post series called Cora's Closet! She's becoming quite the little fashionista and definitely has opinions on what she wears. Our usual routine of how to pick out what she wears is I give her options to choose from and she will immediately tell me if she likes something or if she doesn't like something for that day. And if it hasn't been obvious from my Instagram account, she's also becoming quite the ham in front of the camera. I mean, she seems to have perfected the blogger stance of crossing your legs, standing at an angle, and placing your arms in a way that doesn't look awkward. She's got it down pat so I just thought it would be so much fun to try this series out. So far so good. 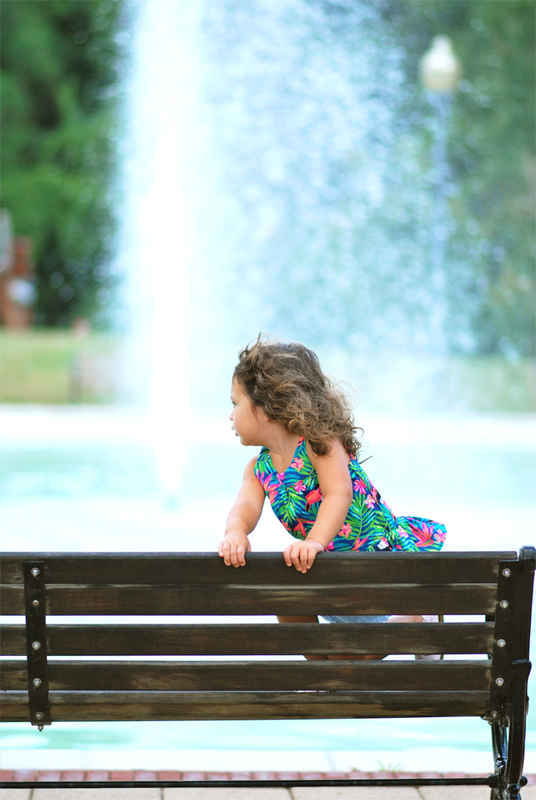 We had a great time shooting at Quiet Waters Park the other day and I could tell she was enjoying herself. 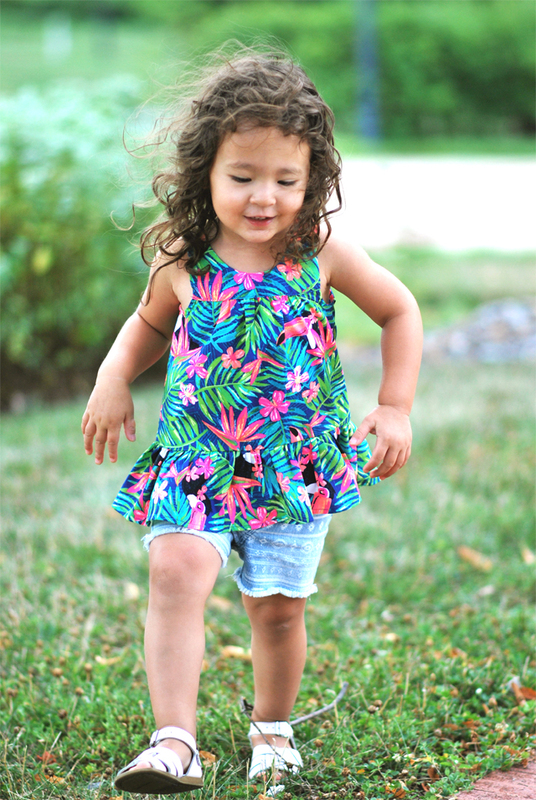 With the swamp-like summer weather that we have here in Annapolis (with the exception of the past two days), this tropical drop waist tank top (we're on a drop waist kick here apparently) is the perfect way for Cora to stay cool and colorful during the summer months. I can't speak for her, but it seems to me that the fabric of the top would be cooling and the ruffly bottom adds that girly factor that I love. And the minute I saw those aztec jean shorts, I was like, you are wearing these! 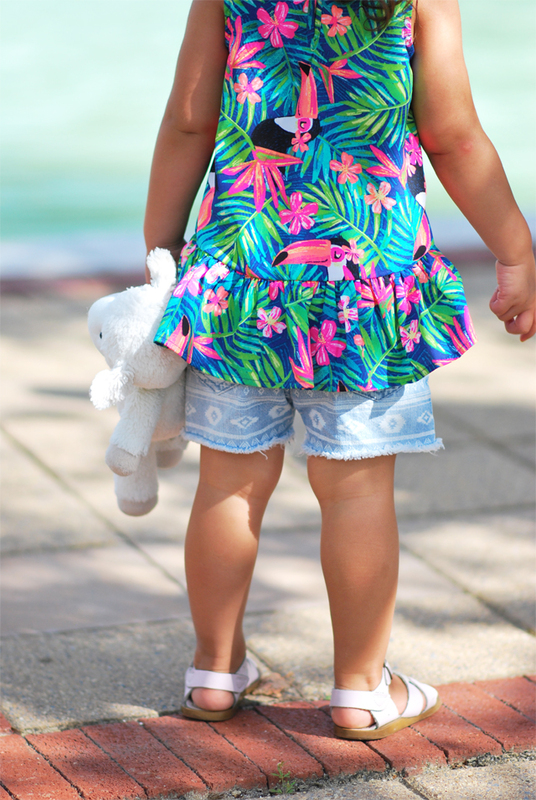 Last year, we got her a pair of Saltwater Sandals and we really liked that they gave her the support and comfort for a first time walker, and since they came in sizes for toddlers, we decided to get her another pair this year. They're great for everyday wear, but also for any activities in or near the water. Perfect for an Annapolitan kid!